Lawyers for Christine Blasey Ford scolded senators for spreading “lies” about their client in an effort to bolster support for Supreme Court nominee Brett Kavanaugh. Attorneys Debra Katz, Lisa Banks, and Michael Bromwich released a list of misinformation that they said has been used to “undermine the credibility” of Ford, who has accused Kavanaugh of sexually assaulting her when the two were in high school more than three decades ago. They said seven witnesses whom Ford told about the alleged assault prior to Kavanaugh being nominated could have corroborated her account, but committee staff “repeatedly” rejected requests to have them testify or be interviewed by the FBI. Kavanaugh has vehemently denied the allegations and is likely to be confirmed to the Supreme Court on Saturday after the FBI completed a supplemental background investigation into the nominee. The lawyers argued it could not have been a “meaningful” investigation because Ford and Kavanaugh were not interviewed. If the FBI interviewed Ford she would have provided investigators with her medical records and given them access to a phone from which she exchanged messages with a reporter about her allegation before Kavanaugh was nominated to the Supreme Court, they said. “The suggestion that our refusal to give medical records to the Judiciary Committee bears on Dr. Ford’s credibility is completely false,” the statement said, adding that every document they handed over to the committee was released publicly, and thus they lost confidence that Ford’s medical records would remain confidential. A day earlier, Senate Judiciary Chairman Chuck Grassley, R-Iowa, asked Ford’s lawyers to share notes from Ford’s therapist, polygraph materials, and her communication with a reporter from the Washington Post. Ford’s lawyers had previously said they would only turn over the evidence if she was interviewed by the FBI. "It’s not even clear to me what purpose turning over these materials to the FBI would accomplish. The FBI would simply turn over that evidence to the Senate. That is precisely the outcome I seek with this request,” Grassley said. “Dr. 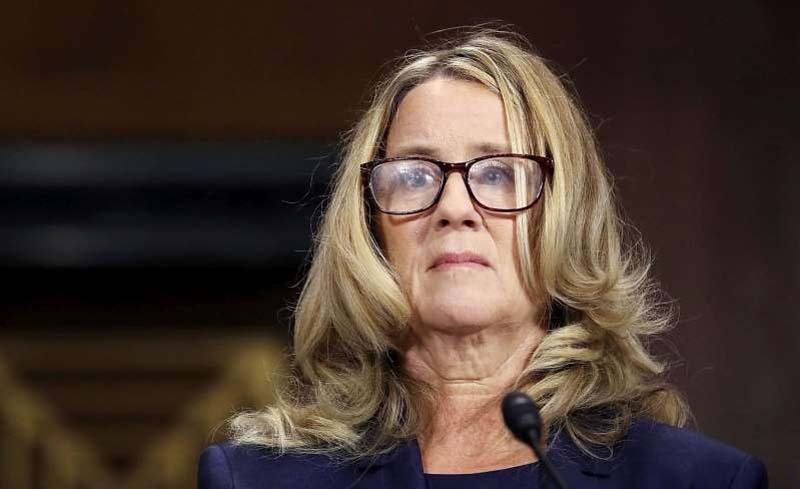 Ford does have a decades-long fear of flying for which she takes medication prescribed by a physician, but this had no impact on the timing of her testimony,” Ford’s lawyers said.